Cleansers are the first step to healthy skin. They wash away the impurities of the day, like dirt, oil, sweat, make up, dead skin cells, bacteria and any other pollutants. Our cleansers are formulated for every skin condition and can be used daily for the face and body. Toners, astringents and fresheners all fall under the same category. They remove residual traces of dirt, oil, sweat, make up, dead skin cells, bacteria and any excess cleanser from the skin. Lelexo toners are designed to restore the pH balance and prepare the skin for additional exfoliators and serums. Exfoliators like Vitamin A and mandelic acid have an essential role in the development and maintenance of the skin. 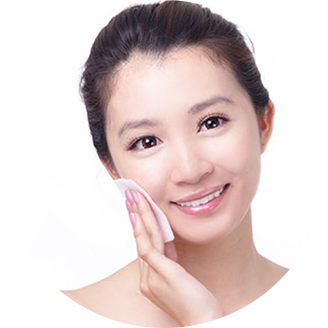 They are aimed to promote keratinization (the natural process of cellular regeneration), stimulate the creation of collagen, and clear impactions. Lelexo exfoliators take cellular regeneration to the next level with our paraben free vitamin A propionate and mandelic acid. 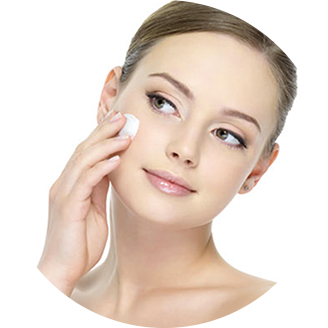 Moisturizers help to keep the skin barrier intact, enabiling it to retain its own natural moisture. Lelexo moisturizers are enriched with ingredients like Aloe, Algae, Green Tea, minerals, hyaluronic acid, vitamin E, and zinc to name a few; they are formulated to restore moisture levels, improve skin tone and elasticity for all skin types. With both UVA and UVB protection, this sunscreen provides full spectrum coverage while it moisturizes leaving the skin silky smooth. Lelexo’s Sunscreen Moisturizer SPF 30+ is paraben free and enriched with Green Tea, Chamomile and vitamin E, to further protect the skin from free radicals, aging and possible skin cancer.